Small UAV manufacturers, take note: your efforts to build smaller, lighter UAVs with longer range and higher endurance are not going unnoticed. Time for a quick primer on what the established competition already knows: UAVs are Size, Weight and Power-limited (SWaP-limited) applications, and thus operate better in X-band – and the reason is simple physics involving (a) X-band’s high-capacity, weather-resistant wavelengths, and (b) the smaller, lighter equipment that can be used in X-band applications due to satellite spacing. 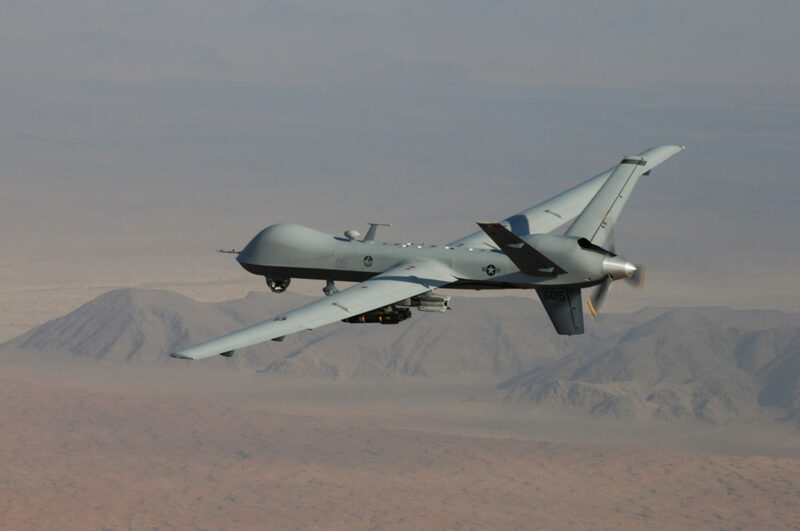 Smartly, established manufacturers already know these traits and produce X-band variants of larger UAVs, such as Northrop Grumman’s RQ-4 Global Hawk and its more powerful, X-band, all-weather twin, MQ-4C Triton. General Atomics’ RQ-1 Predator also has a more powerful, X-band, all-weather twin in development. Even more smartly, the same X-band capabilities that make these larger all-weather twins more capable can also be incorporated into the RDT&E efforts of smaller and smaller “Class II” UAVs, a class which is just beginning its own transition into Beyond-Line-of-Sight (BLOS) capabilities. With Class II UAVs being even more SWaP-limited than their larger counterparts, choosing the right SATCOM RF band is more critical than ever. Why is X-band the right choice for SWaP-limited applications like UAVs? Let’s discuss. High-Capacity, Weather Resistant Wavelength. X-band’s unique position on the RF spectrum permits it to easily transmit voice, data, image, and HD video while significantly reducing signal attenuation due to atmospherics such as high humidity, rain, snow, and ice, and airborne dust and sandstorms. Thus, X-band UAVs operate better, longer, and further from base in all types of weather, from the tropical environments of SE Asia, Africa, and Latin America, to the sandstorms and airborne dust of Northern Africa and the Middle East, to the colder, rainy, and icy regions of the Baltic Sea, Eastern Europe, and the Balkans in winter time. Not limited to land applications, X-band UAVs such as Triton are specifically designed to support U.S. Navy operations in the hot and humid South China Sea, the cold North Atlantic, the vast North Pacific, and everywhere in between – to include these regions’ remote Southern counterparts. Smaller, Lighter Equipment. The use of X-band permits use of lighter, smaller terminals that are perfect for all SWaP-limited applications. The reason for this has to do with satellite spacing: Ku-band and Ka-band satellites are spaced a minimum of 2 degrees apart, and X-band is spaced a minimum of 4 degrees. SATCOM planners know that small satellite separation requires a larger satellite dish to focus an RF beam. They also know that using too much power or too small of an antenna on closely-spaced satellites creates what is known as Adjacent Satellite Interference (ASI), which can seriously degrade C4I capabilities. The wide separation between X-band satellites significantly reduces the risk of ASI and thus permits use of smaller, lighter antennas while also achieving a more-reliable, high-throughput, all-weather datalink. Conclusion. X-band is ideal for SWaP-limited applications such as UAVs – but it isn’t for everyone. X-band’s unique properties have been reserved by the International Telecommunications Union (ITU) for government and military users exclusively. UAV manufacturers that choose to compete in mass-market commercial bands such as Ku- or Ka- have to incorporate larger, heavier antennas (or use more power) in their designs, must compete with unpredictable bandwidth demands, market-driven price surges, weather attenuation, and other criteria that make their UAVs less-than-ideal solutions for government and military customers. Consequently, UAV manufacturers that focus on the military or government customer (and the astonishingly-wide range of missions they have) will instantly recognize that they need highly-reliable, high-capacity, weatherproof datalinks for their smaller, lighter, longer-endurance, all-weather UAVs – properties that X-band provides without equal. And the reason is simple physics.